Hi, I’m Gavin. 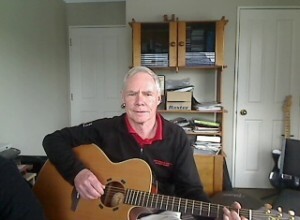 I am an ANZCA registered guitar and bass teacher located in Palmerston North, New Zealand. I have over 25 years of teaching experience and am heavily involved in the local music scene. 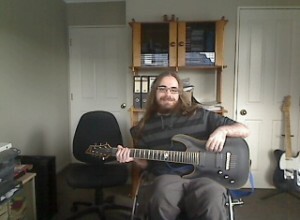 I currently play guitar for Palmerston North band, Just Chilling. My aim is to teach your lessons in a relaxed, friendly manner, and an easily understood format, in my home based studio. A proven system – from beginner to professional. If you are interested in commencing lessons, or have any questions, please feel free to contact me. I have been learning the guitar with Gavin Donaldson for over 10 years. He is able to teach a variety of genre with ease. Students learn to read music scores, as well as strumming patterns, so they are able to play a range of pieces from lead rock to jazz and classical. Theory lessons are varied with songs to play, along with new skills to be learnt. I have always found Gavin to be positive, encouraging and easy to get on with and would not hesitate to recommend him as a guitar teacher to potential students. I've had guitar lessons from Gavin for three years now and found him to conduct his lessons in a professional but fun manor. Being able to draw on his personal skills and extensive knowledge base has been invaluable to me across the years. Gavin has knack for being able to substitute a fun song for theory when I seem to have had enough without compromising my progress. I have been taking guitar lessons with Gavin for over 5 years now. Gavin has a laid back and friendly personality, but is also demanding in his expectations - making lessons both enjoyable and challenging. With Gavin's help and encouragement, my knowledge of both music and the guitar has improved immensely. 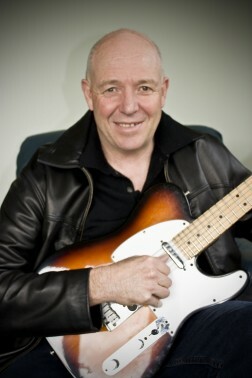 I look forward to lessons with Gavin every week and would recommend him to anyone who's keen to learn the guitar. I am well into my 30’s and thought I should learn how to play the guitar. In the last year of lessons, Gavin is a positive and enthusiastic teacher, encouraging me when I have felt like progress has been slow and patient when my work and family have made it impossible to practice. I enjoy my lessons and can see my own progress, and have already recommended Gavin to others who I know are looking to learn guitar. I have been taking Gavin's guitar lessons since 2003. I find Gavin's lessons enjoyable and beneficial at the same time. He has an extensive knowledge of the guitar - both theory and practice. What impresses me most is his ability to switch from one form to another effortlessly - be it blues, jazz, rock and even classical - which bears testimony to his versatility as a guitar virtuoso. As a teenager I learnt to play classical piano in a formal and structured manner. As an adult, I wanted to learn a new instrument in a fun and relaxed way and guitar lessons with Gavin have filled that niche. Over the past twelve years I cannot believe how much more I have learnt about music from Gavin than through my previous music lessons. And what's also fantastic is that I am now confident performing on stage and have met some awesome friends through working with other musicians in a number of bands. Gavin has a laid back, easy going manner but is still demanding in his expectations of his pupils to keep them moving forward. Lessons are really enjoyable and I look forward to going each week.